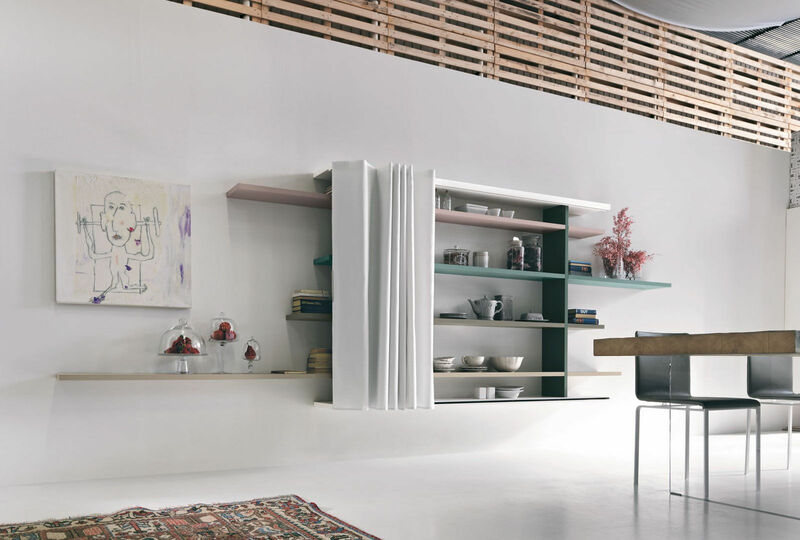 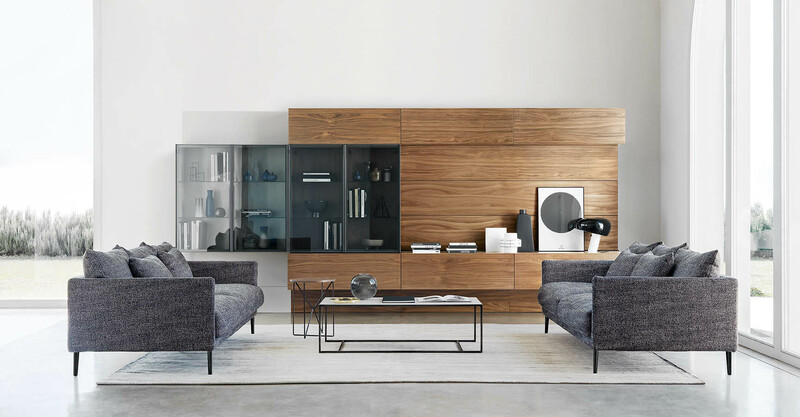 This furniture system is made up to be reinterpreted by the designers who play with empty and full spaces, add coloured inserts or even decorate it with display windows. 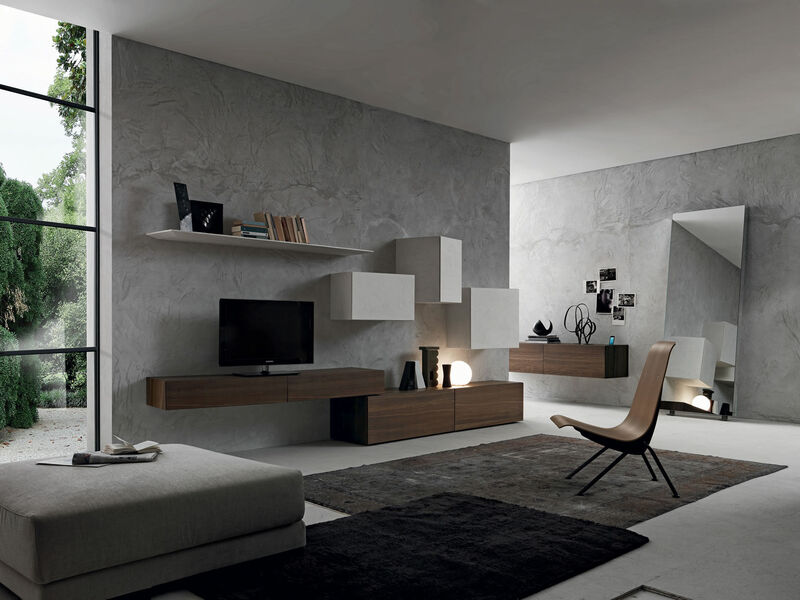 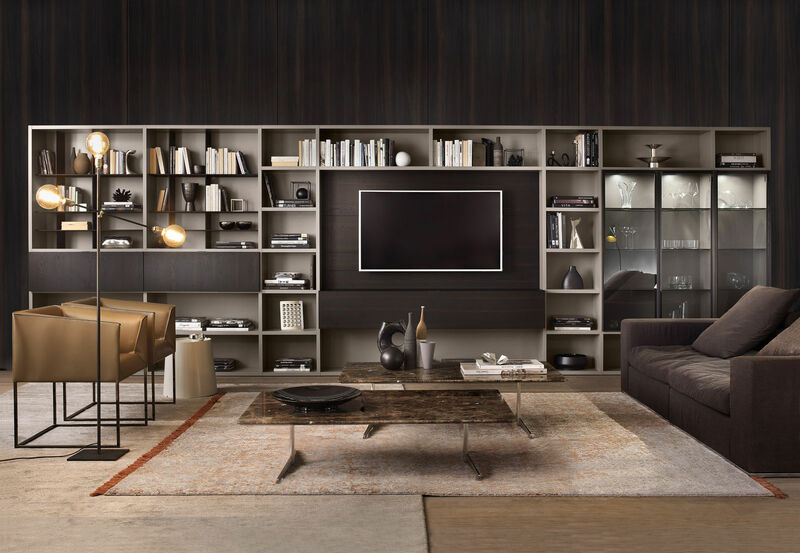 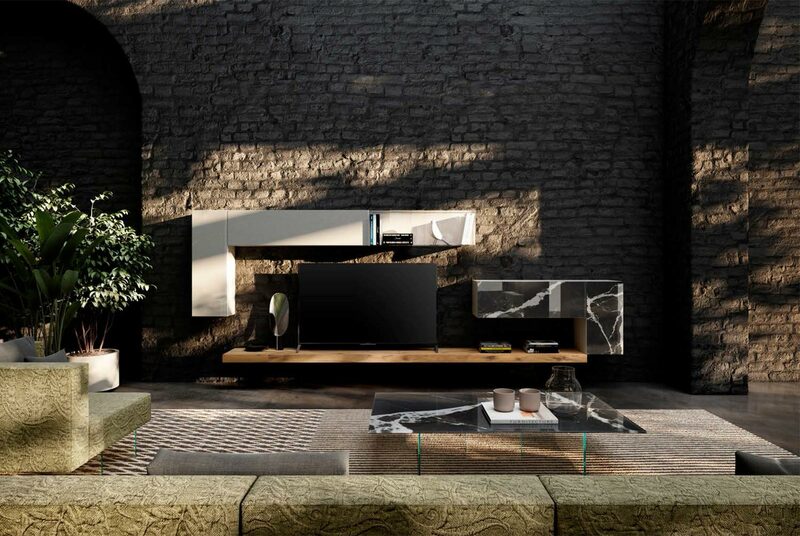 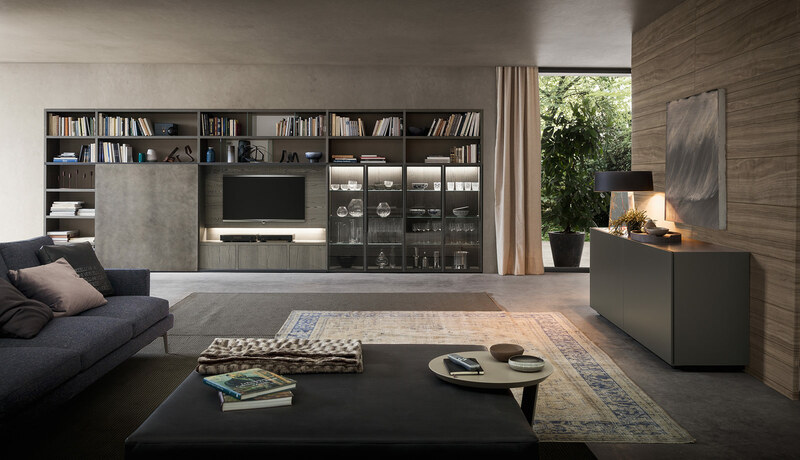 Pari&Dispari Bookcase system is built with modular elements combined with TV and fireplace, shutters covered with stone or other materials and vertical closed elements. 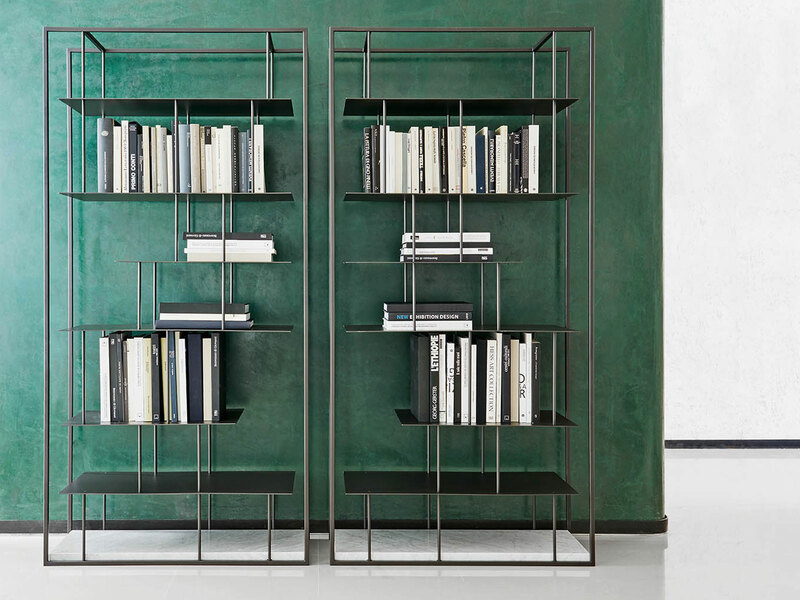 The structure is made of vertical and horizontal elements, available in four depths, which can be set at different distances and in various finishes. 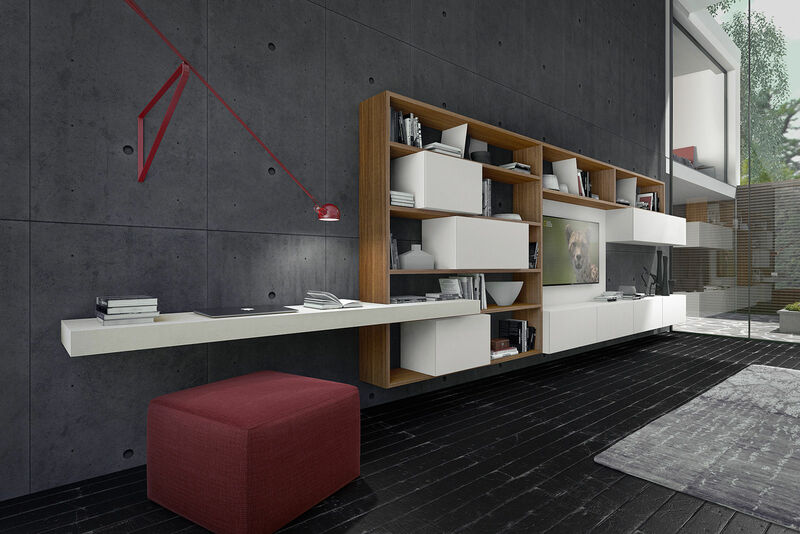 The system can be floor standing or wall hung (available in 2 depths). 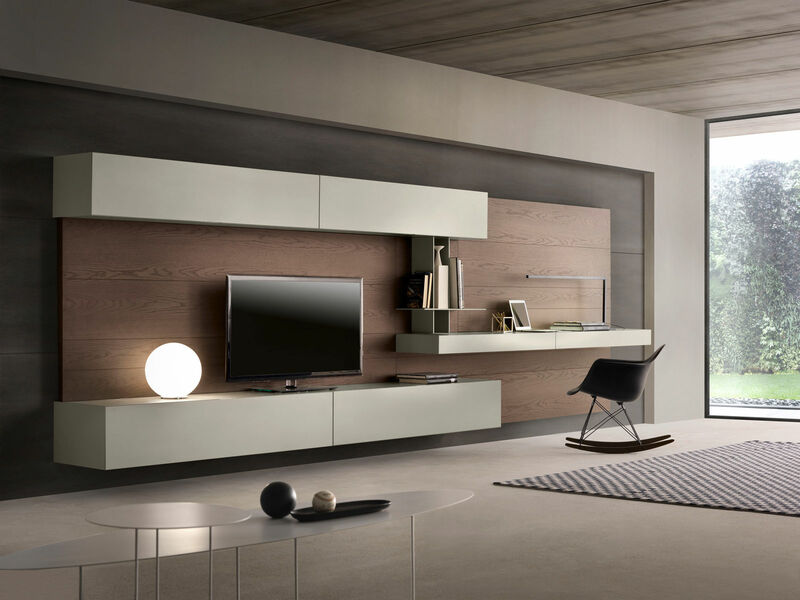 Structure matt lacquered, colour wood, walnut or oak wood all availalble in many different colours. 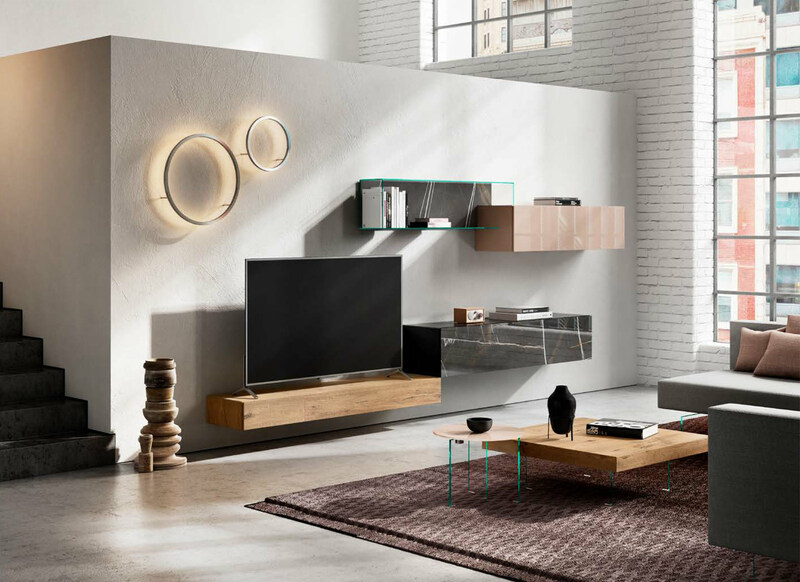 Acessories matt or glossy lacquered, colour wood, walnut or oak wood, eco-malta, metallic lacquer all availalble in many different colours. 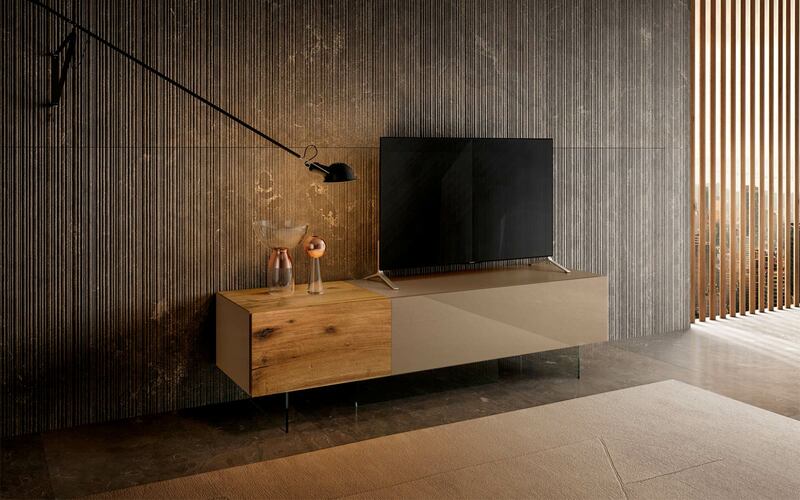 Panneggio drape steel and corten finish available for unit fronts. 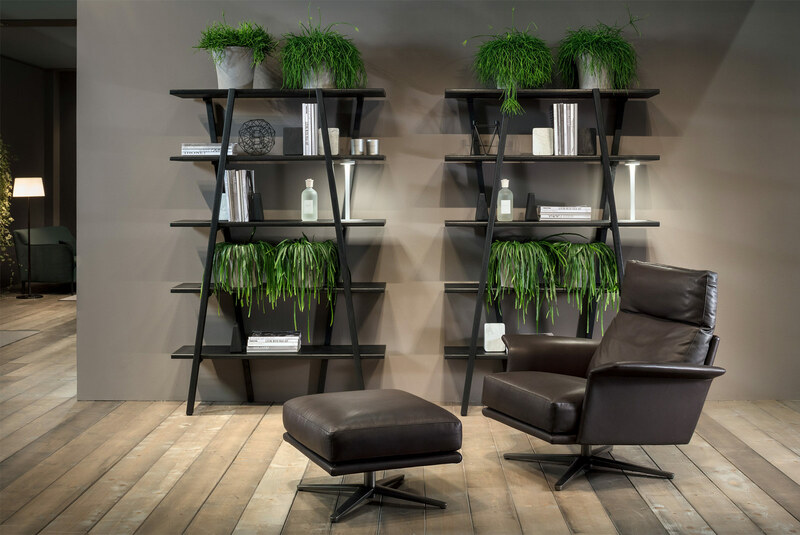 CrossART wall composition average cost is between £5,500.00 to £7,500.00 depending on the quantity of units, dimensions and finishes.